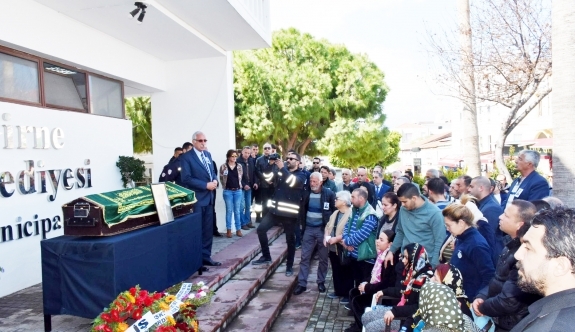 A ceremony was held in Kyrenia Municipality for Mehmet Nur Ateş, the Council Member of the Kyrenia Municipality Resettlement Party (YDP), who has has treatment for a while and passed away recently. 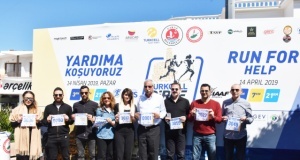 YDP deputies Dr. Erhan Arıklı, Bertan Zaroğlu, Kyrenia Mayor Nidai Güngördü, Kyrenia Municipality councilors and citizens attended the ceremony. Bertan Zaroğlu and Nidai Güngördü delivered speeches at the ceremony. Following the ceremony, the funeral of Mehmet Nur Ateş was buried in the Ozanköy Cemetery after the prays in the Ozanköy Mosque. 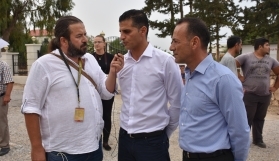 The Mayor of Kyrenia Nidai Güngördü said in his statement on the issue that he was in deep sorrow of the untimely loss of Kyrenia Municipality Councilor Mehmet Nur Ateş. Nidai Güngörd who had the chance to work Mehmet Nur Ateş for a short period of time stated that he was loved by everyone, was respectful, humble and a hard working person. Güngördü, he expressed his condolences to the mourner’s family and lovers. YDP deputy Bertan Zaroğlu pointed out that Mehmet Nur Ateş was loved by everyone and emphasized that he passed away early. Bertan Zaroğlu expressed his condolences to his family and loved ones and to the city council and municipal employees. 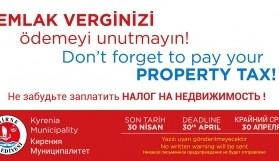 Who is Mehmet Nur Ateş? He was born in 1970 in Hatay Reyhanlı. He completed his primary, secondary and high school education in Reyhanlı. He came to Cyprus with his family in 1988 and started to live here. 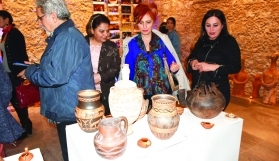 After graduating from the Department of Economics at the Faculty of Open Education, Ateş started to work in the tourism sector. He was still working as a manager’s assistant at a hotel in Bafra. 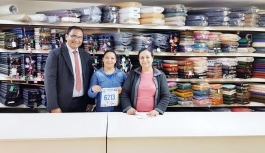 Ateş is married and has two children. 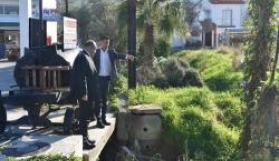 In 2018 he was elected the Kyrenia Municipality Councilor by the YDP party.